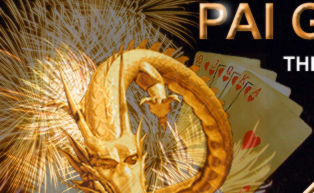 Playing Pai Gow poker online, versus traditional Pai Gow play...which is better? Terrestrial Pai Gow Poker V Online Pai Gow Poker...which is better? If you're in the fortunate position where you live close to a casino, then you'll find yourself pondering this question. If you live nowhere near a casino, then the debate's academic...you're only option is to play Pai Gow poker online. Regardless, it's interesting to toss around the virtues and pitfalls of both playing environments. comfort: no annoying smoke wafting across your face, no 275 pound giant squeezing you off your seat at the table. Just the comforts and conveniences of your own house. deposits/withdrawals: depositing online with VISA and Mastercard is becoming more and more difficult, particularly for US players. While there are a myriad of other deposit options that allow you to open an account, they are not always as easy. As for withdrawals, I don't care what anyone says, having to wait a couple of days for a check will never be as good as walking away from the table with a pile of chips on your hand!